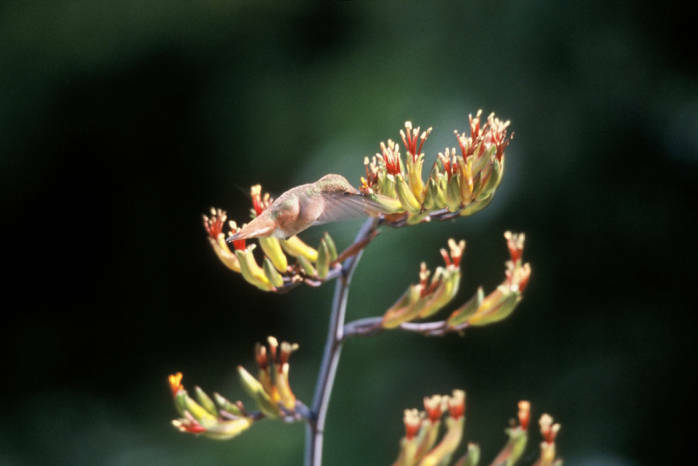 The Allen's Hummingbird is a small bird, with mature adults reaching only 3 to 3½ inches (75 to 90 mm) in length. The male Allen's has a green back and forehead, with rust-colored rufous flanks, rump, and tail. The male's throat is also an iridescent orange-red. instead having a series of speckles on their throat. 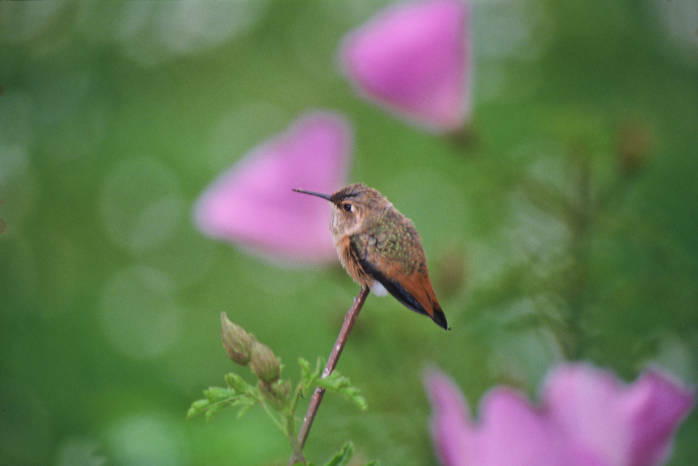 Females are mostly green, featuring rufous colors only on the tail, which also has white tips. from Santa Barbara north, and a minuscule portion of lower Oregon. and winters along the Pacific coast of central Mexico. similar to the motion of a swinging pendulum, followed by a high-speed dive from about 100 feet (30 m). such as kestrels and hawks. nectar-collection system -- its tongue. The tongue is about 2 cm long, twice as long as the beak. When dipped into nectar it spontaneously wraps into a cylindrical straw shape, which then acts as a siphon. 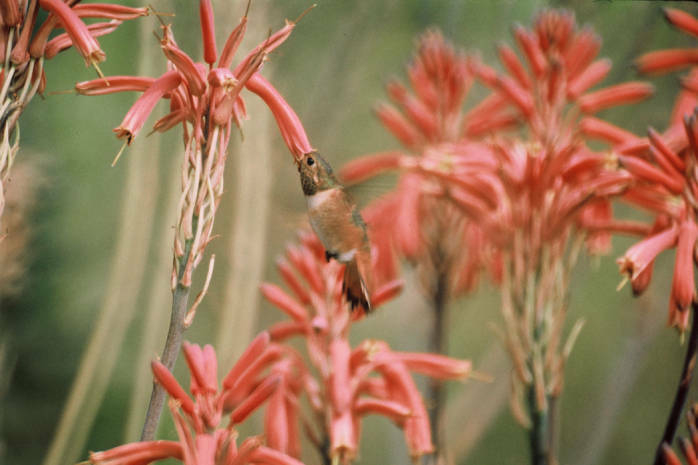 The capillary rise of nectar up the column is quick, allowing the bird to fill its tongue up to 20 times per second. After each dip the nectar is scraped free and swallowed.